Pro Seal 898 has no VOC's making it the sealer of choice for all indoor sealing applications! A penetrating acrylic nano-sealer with super tight cross-linking that keeps out even the finest stains! Apply to wet surfaces for quicker turn-around and better results! 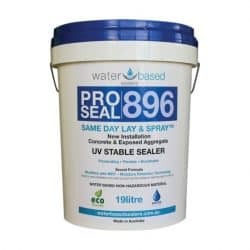 Pro Seal 898 is the latest evolution of the Water Based Sealers Pro Seal range. It is specifically designed to penetrate deep into dense surfaces like polished concrete and dense natural stones like marble and honed granite. This was accomplished by re-engineering the Nano base polymer to a size 10 times smaller than Pro Seal 896. The much tighter cross-linking also results in reduced water vapour permeation rates, higher gloss potential and the ability to keep out even the finest organic stains. 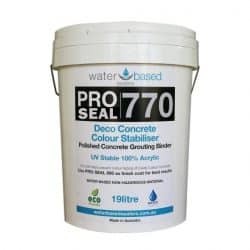 These properties make it a high performance, environmentally friendly sealer for all types of concrete and stone benchtops and furniture; burnished floors – including food preparation and other wet areas; natural stone tiles and cladding; and venetian plaster. Why is penetration so important? When applied correctly Pro Seal products penetrate below the surface to form a permanent matrix within the upper layers of the substance being sealed. This matrix will remain in place for the service life of the surface. 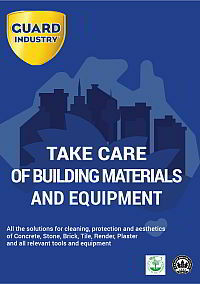 This matrix not only keeps out stains, but also serves to strengthen the surface of the materials being sealed. Since it becomes one with the surface it is impossible for the sealer to peel, blister or fail. Additional coats will build on top of the matrix and form a film above the surface to provide enhancement and a wear layer to protect the surface from chemical and mechanical damage. Applying additional coats every few years will rebuild the wear layer and provide the best possible level of protection. Like all products in the Water Based Sealers range Pro Seal 898 is applied to damp surfaces. 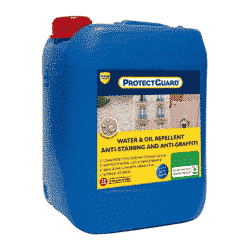 This ensures the best possible protection as surfaces can be sealed immediately after cleaning. 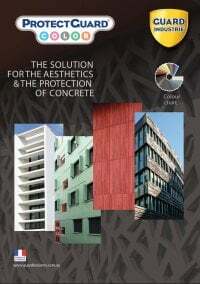 It’s also a time saver in many cement based manufacturing & construction process as the sealer can be applied and will fully cure within the normal curing and drying time. Plaster can be sealed as soon as it’s finished, tiles can be sealed as soon as the grouting is done, and concrete furniture can be sealed straight out of the mould & the MRT will ensure better curing and strength development too. With no VOC’s it’s a safe and responsible choice for all indoor surfaces, but it has the durability and UV stability to be used outdoors, in any environment. 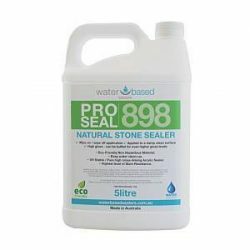 Pro Seal 898 is used as a standalone sealer for dense surfaces or as the final coat in a sealing system for any other surfaces. 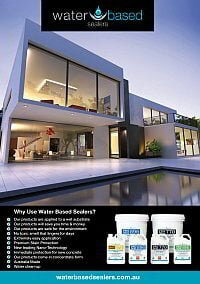 Being fully compatible with the Water Based Sealers range it will seamlessly adhere to and enhance surfaces pre-treated with Pro Seal 770 and/or Pro Seal 896. 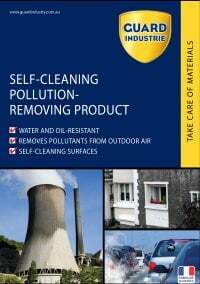 Safe & Environmentally friendly product. Contains no VOC’s = healthy choice for your family and pets.